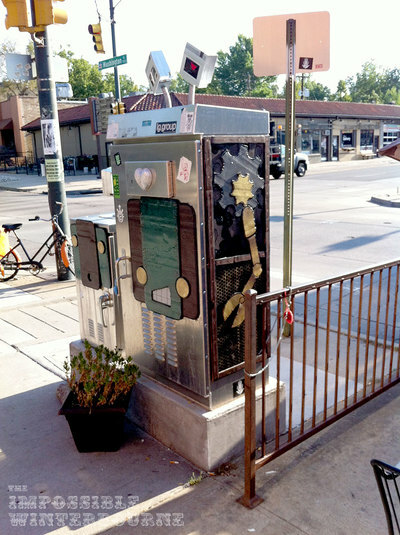 Pablo's Coffee has the best coffee in Denver, and in the country it has only one rival - that being Dark Matter of Chicago. 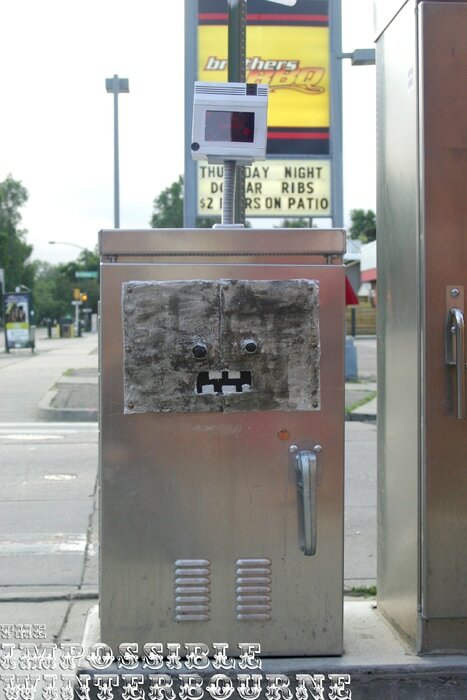 This is not just opinion, this is fact. 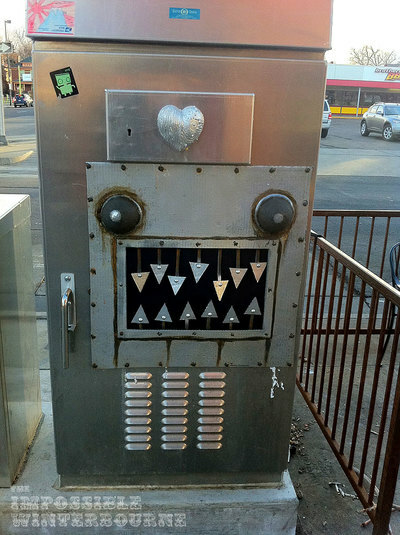 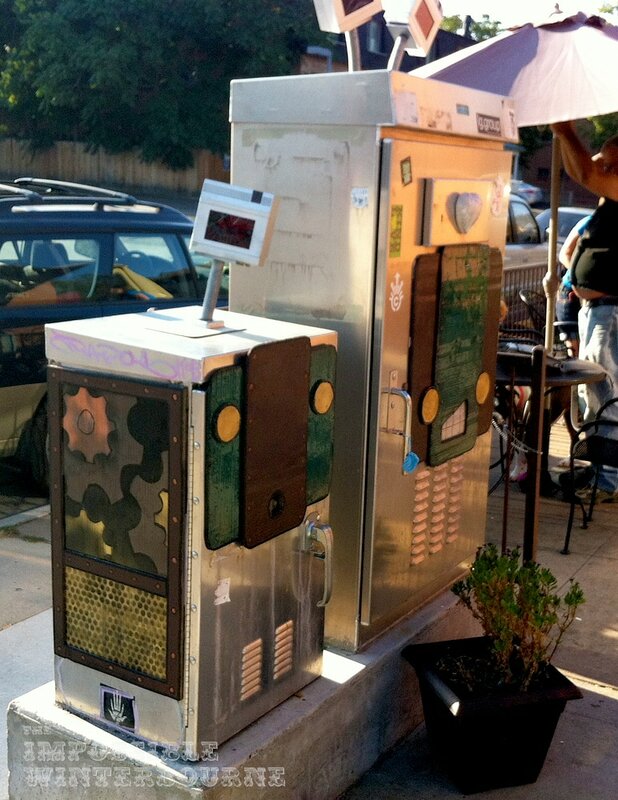 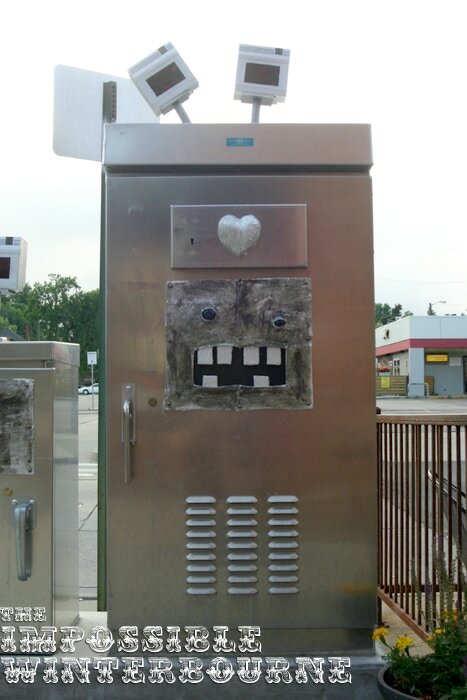 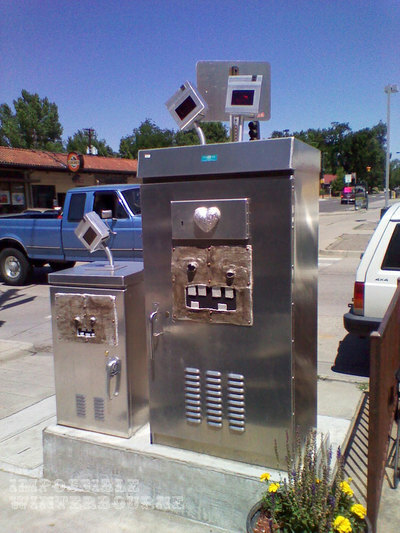 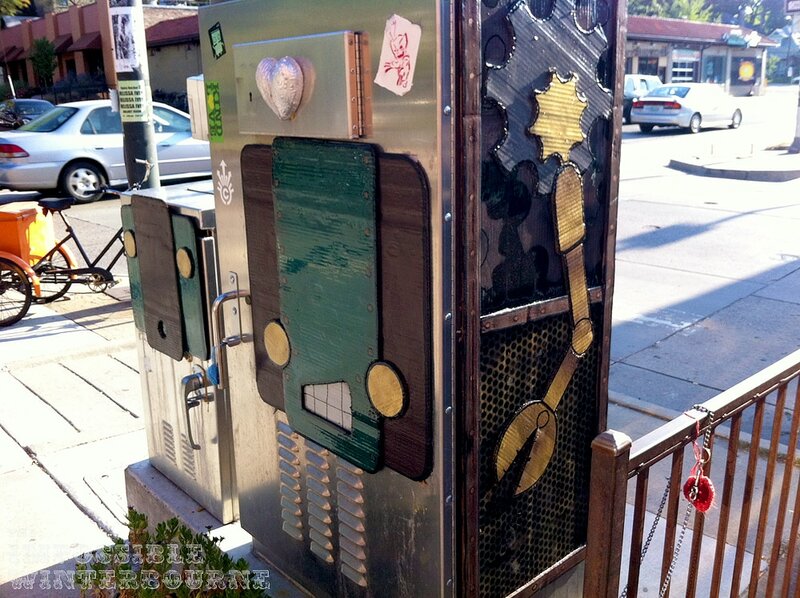 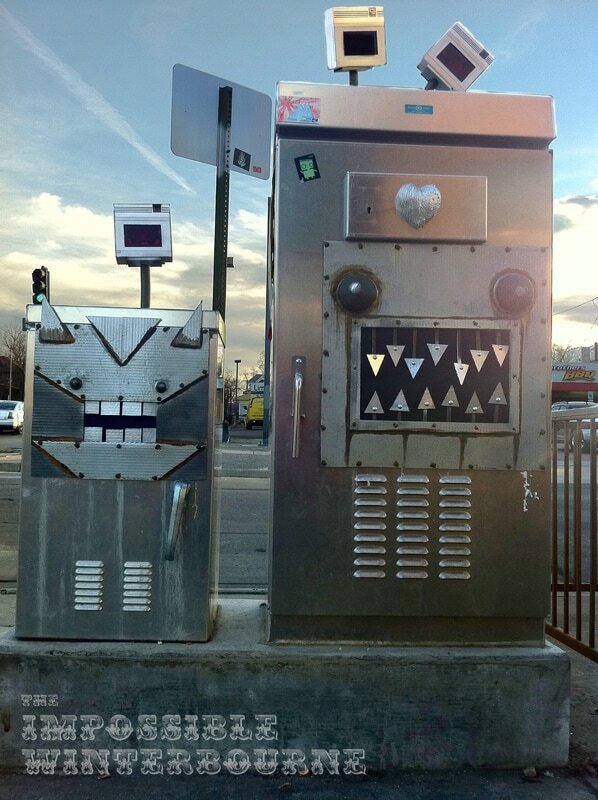 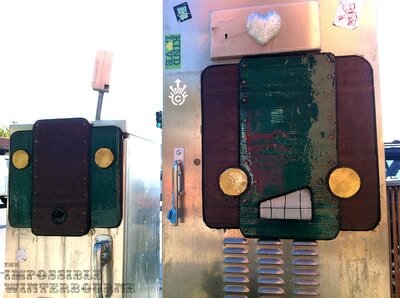 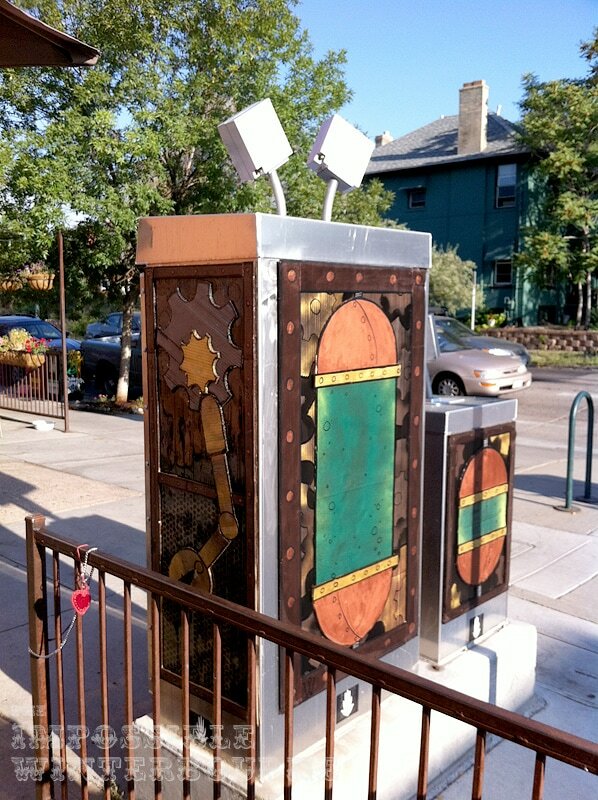 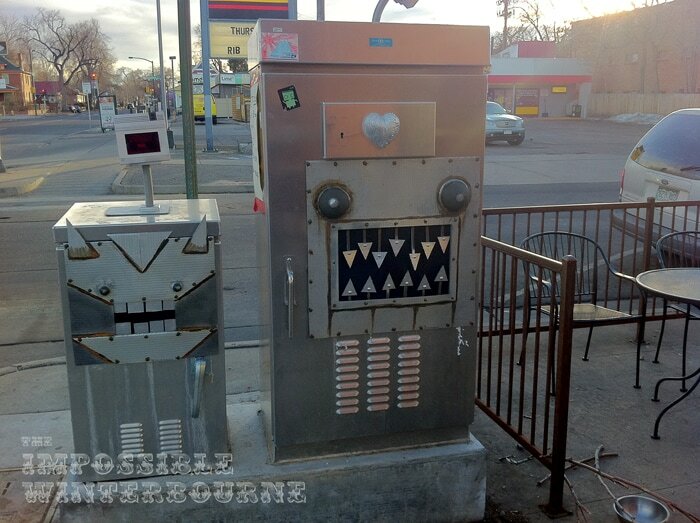 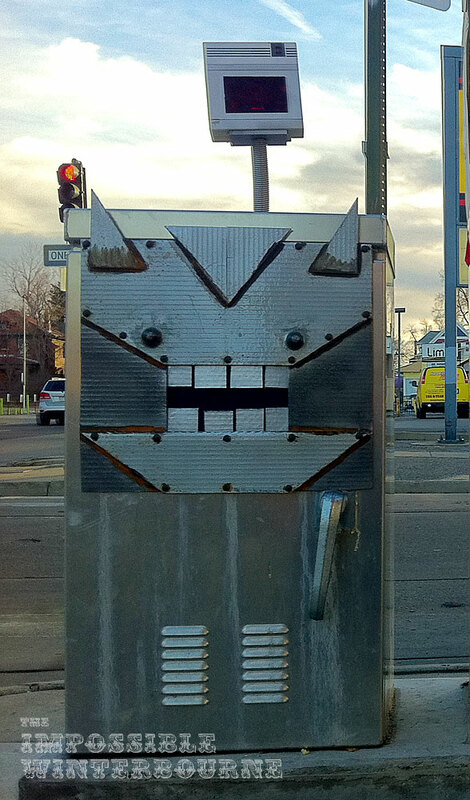 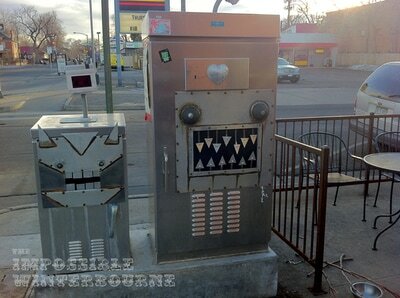 On the traffic boxes outside of Pablo's Coffee in Denver Colorado, The Impossible Winterbourne installed a few different versions of his cardboard robots. 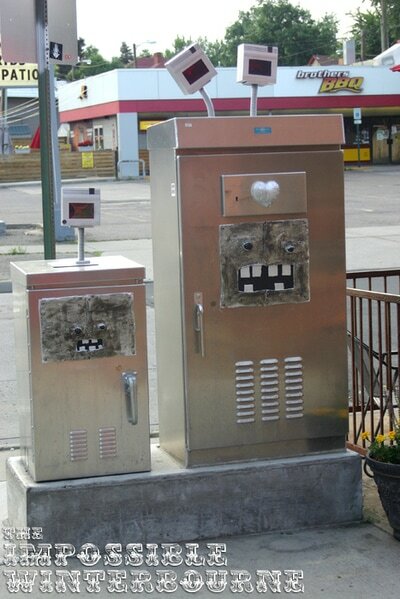 Here are three of them.